Lovely post. Thanks for sharing a slice of your family tradition. Happy spring! Thanks, Heather! Spring is filled with a sense of renewal; it’s my favorite season. Faye…thank you for this most moving piece. It’s so lovely to see that the next generation values the traditions and carries on! Are you also grateful to have someone else flipping the latkes? 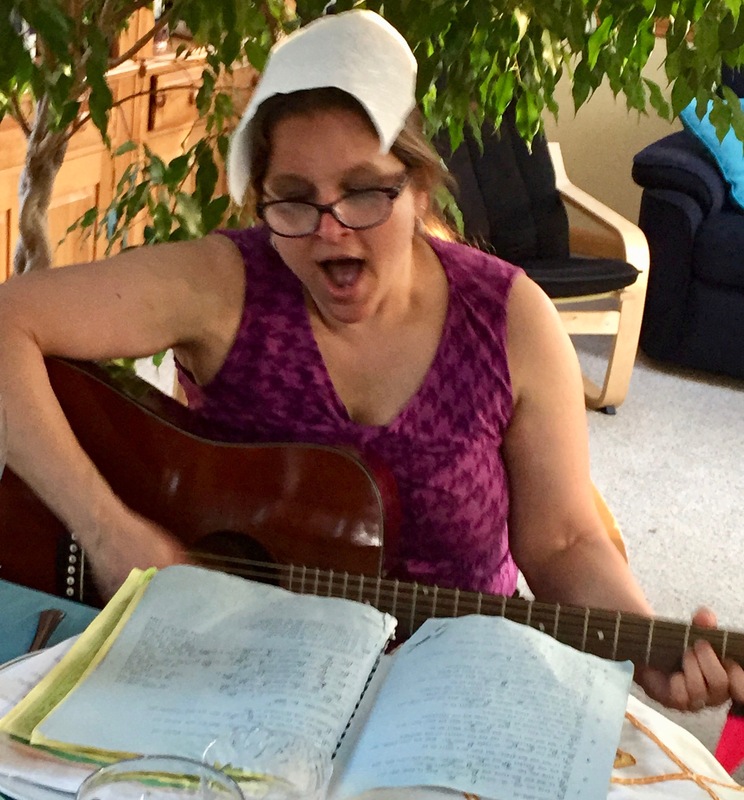 Pat, Yes, I so enjoyed Beth’s excitement and energy as she lead us through the Haggadah and the songs. It was a very lively and spirited occasion. The latkes are a story for another time! The Seder a wise ritual which connects past and present, personal and group life journeys. I too am grateful that our next generation is willing to carry it forward. Hy, glad we can share the pleasure and pride of our children’s willingness to carry our Seder traditions forward. Beautiful blog, Faye. Thank you! Bruce, I so appreciate your comment. Thank you! Sheila, that’s so cool that you have added more questions. I would love to know more about your lively recreation. Hooray for Beth for carrying on the family tradition and adding her beautiful voice to enhance the experience. May the tradition continue and may the families continue to grow! To me the Seder brings the family together in a very joyous way! Liza, I’ve long admired all the effort and love you & Phil have put into the Seder tradition. I was so moved to see the picture of all of you together this past Seder. Yes, wonderful that the next generation has stepped up and that we are able to participate. I was taken by the tone of warmth and respect in this account of repeated journeys to community. I like how the writer begins her story using the “pass over” words, how she describes rituals followed or adapted, highlights dishes freshly made from valued recipes—and in the process gently praises old family leaders, new ones too. Rosemary, I enjoyed your comment and how you connected to my play on the words “pass over.” It truly felt like I had handed over the leadership to Beth — including the use of my special Seder Plate and gold toned goblet given to us by Marv’s Dad..Beth embraced the role with great verve. It was a fun event.